One of the questions you sometimes hear is that, if more of the GHG-trapped heat is lately going into the ocean, why isn't sea level rise itself rising -- accelerating? Here I'll show that, no, we should not be seeing more sea level rise, not now, via a back-of-the-envelope physics calculation. Really basic physics, like freshman year physics. Alas, I don't expect anyone to follow this, or work through it and look for errors, or comment on it. Because Willie Soon. Because sexual harassment. Because climate McCarthyism. But I don't know how else to think about these questions. I find these kind of little calculations fun, and even sometimes wise. I wish they were done more often. Sorry to get technical. But there's no other way to answer this question. The left-hand side is how much heat is going into the ocean per unit area. That's fOF(t) where F(t) is the energy imbalance for the planet (which I'll take as the forcing due to GHGs, ignoring cooling forcings like aerosols from fossil fuel pollution, etc. Note that this is a significantly larger number than reality, which is more like the energy imbalance of 0.5 W/m2 of Loeb et al Nature Geo 2012), and fO is the fraction of that energy that goes into the ocean. fO is about 93E%. where β = ρc/α = 1.6 x 10-11 m3/J, or 1/β = 6.1 x 1010 J/m3, an energy density. The global radiative forcing is increasing linearly. In 2013 it was 2.916 W/m2, according to NOAA, and its slope is, if you calculate it, ε = 0.034 W/m2/yr. (The Loeb et al 2012 result noted above would likely a signifcantly lower epsilion. That will increase the numers below correspondingly.) Earth's actual energy balance is less than this, because of manmade pollutants -- chemicals like sulphuric acid that reflect away sunlight. But I'll go this for now, as an upper bound. This is the acceleration of sea level rise, due to thermal expansion. It's not so very big, but it's happening year-after-year. Here βε sets the scale for this problem -- a quantity that, by units alone, is the acceleration, up to a constant that is a pure number, with no units. It's an amazing aspect of physics, which no one has ever really explained, not even Dirac, that physical systems never deviate much from their fundamental constants. That is, in this case, d2h/dt2 = βε*fO, but it doesn't equal 100 times βε or a billion times it, or 10^-21 times it. It's right in the sweet spot of the algebra -- a few times it, or the inverse. Why? I don't know, and I don't know if anyone knows. But it does mean you can often make a good guess for the answer to a physics problem simply by doing dimensional analysis -- by deciding what constants are a necessary part of the answer, and seeing what combination of them works out to the units of the thing you're trying to calculate. It's trivial once you understand it, but powerful. John Wheeler, who taught Richard Feynman, said you should never start a physics calculation before you know the answer. By this he means, do dimensional analysis first. That's how the system is going to respond to any external force. Here beta is the fundamental unit of the system, and ε the cale of the input. It's not surprising the beta*epsilon shows up for the acceleration. How much sea level acceleration should we expect to see, for the thermal expansion of seawater, 20 years in the future? But note that CU's uncertainty on the rate of sea level rise is +/- 0/4 mm/yr. So what we'd expect is within the error bars. Suppose though that what caused the hiatus is more heat going into the ocean. Should sea level rise be noticeably jumping up in that case? So if fO goes from, say, 93% to 95%, current sea level should rise only by a factor of only 0.95/0.93 = 1.02 so S0 -> (1.4 mm/yr)*1.02 = 1.43 mm/yr, which just isn't going to be noticeable with today's error bars. He made the argument that though Texas added 5.6 million people to its population and 1.4 million jobs in the last seven years, they have also managed to be environmentally friendly. But during that time, the US as a whole went from 5.97 CO2/yr (2004) to 5.44 CO2/yr (2011), a decrease of ... 8.8%. So Perry's grand accomplishment was (drum roll....) to remain average. Lord help us if this man ever gets elected President. What will NASA GISS give for February's global average surface temperature anomaly? Despite all the frigid temperatures in the northeastern part of the U.S., it's going to be high. Because that region is only on order a percent of the globe or less, and elsewhere it's been average to quite warm. I've been following the University of Maine climate reanalyzer for several months, noting its daily temperaure anomaly for the globe, and comparing that to the GISS monthly anomaly numbers. There's a decent correlation (see graph). Based on this correlation, and the Reanalzer's daily numbers for February, my guess is that GISTEMP's anomaly for February will be +0.82°C. It really has been remarkable how quickly temperatures that once seemed extreme (1998) now seem routine. It's an increase of about 5% per year, in real (inflation-adjusted) money. Is this worrying? I don't know. It probably is if your job is to fight wildfires. Or if you ever have to hope they put out the fire that's heading your way. Data from National Interagency Fire Center and the FRED economic database. Regardless of any issues of Willie Soon's funding and what he should have disclosed, there is also this: his science is bad. Quite bad. It would be bad even for a first-year graduate student. Or an advanced undergraduate. And it's easy to understand why it's bad. Across the world, many records reveal that the 20th century is probably not the warmest nor a uniquely extreme climatic period of the last millennium. "I was stating outright that I'm not able to give too many quantitative details, especially in terms of aggregating all the results," Soon says. So what were S&B doing, if it wasn't quantitative? They settled for categorizing -- grouping the research done by others into supporting or not supporting a Medievel Warm Period (MWP), and the same for the Little Ice Age, and seeing if they were "anomalous." But look at this. Anomalous wetness or dryness has no a priori connection to temperature. So a 50-year period would be counted as evidence for the MWP even if the temperature was perfectly constant. In fact, the temperature could have been decreasing all that time, and they'd have still count it as "anomalous" if it was unusually wet or dry. Worse, the "stipulated interval" for the MWP was 800 to 1300 A.D. So if the years 800-850 AD were unusually dry, that interval would count as evidence for a global MWP, regardless of what the temperature did over those 50 years, or the full 500 years. So you can see how this classification was either (a) nonsense, or (b) trickery. In either case, it's impossible to take seriously. It's so bad I don't see how S&B could have taken it seriously. What do they mean by "unusually?" Or "objectively discernible," which they use in the table that lists their categorizations? They never really say, especially quantitatively. Past researchers implied that unusual 20th century warming means a global human impact. However, the proxies show that the 20th century is not unusually warm or extreme. First of all, we don't need proxies for the 20th century -- we have thermometers. Second of all, the warming since 1975 started 28 years before their paper -- so it can't be included, by their definition. And the warming in the early 20th century happened from about 1910 to about 1945 -- only 35 years. Again, not long enough for them to include. So, by definition, Soon and Baliunas do not find any "unusual" warming in the 20th century. Slick, huh? These are some pretty glaring issues with paper. Anyone smart reader can understand them, which makes me suspect S&B thought they would publish this paper in an obscure place that no one would notice, and then have (just) a citation to be used by those who don't really care about the science. But I don't know their motivations. Stoat has another good example of Soon's poor science: talking about land temperatures on an "aquaplanet" -- a planet that, by definition, has water across its entire surface. And the fact that Soon's work jumped around -- from the MWP & LIA to solar reconstructions to polar bears to mercury -- doesn't speak well of him as a scientist, in this day and age. Instead it showed a lack of expertise.... It looks like he was casting about for material that could get funded, being sure to hit all the hot spots. Like he was writing term papers. Added: By the way, Soon's correspondence (not about this paper) with Southern Company Services (SCS) called his work a “deliverable.” That's one of those corporate term that, along with "milestone" and "world class" and "value added," etc., that gets hijacked into your brain when you work in corporate America. (You're usually too tired and stressed to resist.) I'm not surprised SCS would use it. I don't see what's so bad about it. Don't all grant winners, from the government or otherwise, have to give some accounting for their grant money? Wikipedia says the its television broadcast had "a disappointing audience share and many critical press reviews." Would be fun to put a copy of this in a time capsule. I keep coming across some of your posts that you make on certain blogs. I have to admit that your comments make me laugh and you definitely keep me in good humour for the balance of the day after I read some of your posts. Sometimes I get involved in doing other things and then I recall something you wrote that I had read earlier, and then I chuckle to myself. I don't think I've had a bad day for months now because of the stupidity that you write. Keep up the good work. Actually, maybe you should consider a career in comedy. You're the type who can say something with a straight face that makes others say, "Are you serious", then shake their heads and then laugh. Don't stop posting. I need my daily fix of laughter to keep me in good spirits. So rather than looking for comedy, I just look for your name on some of the blogs that I read. Did Willie Soon Lie to Congress? Part of the background for today's NY Times article on the corporate money received by Willie Soon is this case study by Greenpeace. It shows Soon received $58,380 in 2001-2002 from the American Petroleum Institute for a study on the sun's influence on climate over the last 1000 years, and $60,053 in 2003 to study "1000 years of solar variability," which apparently was the funding for his and Baliunas's infamous Climate Research article that led to several journal editors resigning. That paper was published January 31, 2003, and I reported on it for Scientific American in June 2003. I asked them how much money they had received from the various funders, including the API, but they wouldn't tell me. (In fact, they would only answer questions in a list I emailed to them, with no followups.) Soon was receiving grants from the API as early as 1994. That sure sounds like an "advocacy position." Was Soon, who had been dealing with the American Petroleum Institute since at least 1994, really not have been aware of the API's position on the Kyoto treaty? (Was anyone?) Maybe, but it seems a very big stretch. Maybe something is finally going to come from all this. The New York Times article quotes both the director of the Harvard-Smithsonian Center and the secretary for science at the Smithsonian Instute (I couldn't get a comment from the Center's director back in 2003), who finally seem concerned about Soon's failure to disclose funding sources when journals he published in required it. That, rather than the accuracy of his testimony to Congress, could be Soon's undoing. I've never understood why the Harvard-Smithsonian Center for Astrophysics, which does a lot of good work, would keep Soon on their staff. Could it have been the grants he was bringing it? Stoat finds Soon's statement that "I would never be motivated by money for anything" "astonishing." Gavin Schmidt told the NY TImes, “The science that Willie Soon does is almost pointless." But maybe not pointless to everyone -- the US never did sign the Kyoto treaty. I say numerology, because three decades or more are needed to see changes in climate (and the 30-yr trend for GISS's global temperature anomalies is still 0.16°C/decade). This is just numerology. But kind of interesting, if you're trying to read the tea leaves. Even though the Nino3.4 anomaly hasn't reached an El Nino phase yet (5 consecutive months of an anomaly above 0.5 C are rquired to be an "official" El Nino), last years's index has been much below that of the big 1997-98 El Nino. But temperatures have been running higher. Significantly higher. So in less than 20 years, the warming that resulted from a huge El Nino is now seen from a weak-to-nonexistent El Nino. The Oregonian reported this morning that Emergency Room Physician Dr. John Kitzhaber resigned his position as Governor of Oregon this morning after his major Democratic supporters called on him to do so. He is not the first Governor to resign but the first to resign in disgrace. This follows a couple of days of what his successor Secretary of State Kate Brown called "bizarre behavior." Kitzhaber's resignation takes effect next Wednesday. Although this scandal is being correctly billed as "influence peddling," it revolved around the vast corruption of the climate scam. The Governor's mistress (Cylvia Hayes) was involved in promoting "green energy" in both her business and her "official" roles. Kitzhaber was not smart enough to keep them completely separate. When The Oregonian uncovered the fact that she had received $118,000 to promote "green energy" and promptly did so through the governor's office, the fate of both the Governor and his mistress were sealed. There are even reports that the $118,000 went unreported for income tax purposes. Cylvia Hayes has apparently left the country. Whether or not Kitzhaber's resignation today comes with a promise not to prosecute the governor and his mistress from his pals in the Democratic Party remains to be seen. He and she could face the same fate as the Virginia governor and his wife, namely jail. It all comes down to an old fool who fell for an attractive younger woman with a questionable past. Unfortunately for Kitzhaber, her questionable past morphed into a questionable present involving (guess what?) Global Warming and all the money to be made supporting it. As I said in my Op-Ed, Oregon is beginning to look more and more like Chicago without the snow. I wonder if we will build a 'Governor's Suite' at the State Penitentiary, just to keep up with Illinois? In Oregon, we may require an entire wing of the penitentiary for all those involved in climate fraud. Would this be a good time to again point out that one of the leading climate activist groups won't reveal their funders? Or that Bill McKibben says he doesn't know who funds his group 350.org??? Ok, I will. Here's the text of Oregon Governor Kitzhaber's resignation statement, as reported by Williamette Week and the Oregonian. He admits no wrongdoing. Note the third and fourth paragraphs in particular. Update 12:52 pm: Here's the audio of the governor reading his resignation statement, which was sent to reporters by email. Kitzhaber chocks up just a little near the end. I am confident that I have not broken any laws nor taken any actions that were dishonest or dishonorable in their intent or outcome. That is why I asked both the Ethics Commission and the Attorney General to take a full and comprehensive look at my actions – and I will continue to fully cooperate with those ongoing efforts. I am equally confident that once they have been concluded Oregonians will see that I have never put anything before my love for and commitment to Oregon and faithfully fulfilling the responsibilities of the public offices I have held. Oregon's governor is probably going to resign today -- and if not today, then surely very soon -- and that's going to be a black mark against clean energy. Or, at least, that's how some anti-clean people will no doubt spin it. John Kitzhaber was just elected to another four-year term in November. He was already a three-term governor who had first served in 1995-2003, and called Oregon "ungovernable" in the tail of his second administration. But then he ran again and was elected in 2010 and reelected last year. (It didn't hurt that Republicans ran a socially conservative troglodyte.) Kitzhaber was a progressive Democrat for a mostly (by population, at least) progressive state. But his relationship with his current girlfriend (now fiance) Cylvia Hayes has brought them both down. She brought some baggage with her that only recently came out. When she was younger she married a Ethiopian immingrant for money, just so he could get a green card in the U.S. Then she had a significant role in an plan to grow marijuana in Washington state. Then came the revelation just two weeks ago that Hayes was paid $118,000 for communications work with the Clean Economy Development Center in Washington D.C., which works to promote clean energy clean projects. Except she was also listed as an adviser to Kitzhaber on renewable energy, an obvious conflict of interest. Things spiraled quickly down from there. FOIA requests by Williamette Week and the Oregonian showed that Hayes had -- or rather, that Kitzhaber let her have -- a great deal of leeway in his office. She had a part-time desk there. She made personal requests of his staff members. And one staff member was fired after asking whether Hayes was going to be allowed to go "on her merry way" through policy meetings. And THEN, just a few days ago and a day before an ethics commission was to come into being, it came out that Kitzhaber requested that thousands of emails from his personal Gmail account be deleted. In an action that should win an award, a computer administrator deep in the state's archiving system who was givn Kitzhaber's request, decided she'd better ask her supervisor first. It was passed up the management chain several more times, until a upper manager decided against the request. In just the last day or two even Kitzhaber's friends said he needed to go. Democrats abandoned him, the Secretary of State (who will replace him when he resigns) spoke of some weird behavior after, at his request, she returned to the state from a conference in D.C. It's been very surprising how fast this all happened -- at the beginning of the week it looked like Kitzhaber, through wounded, would surely stay in office. Now he's lost all support and will have to resign, if he hasn't by the time I end this paragraph. They'll be ethics and criminal inquiries -- and there should be -- but with Kitzhaber gone I wonder how much steam they'll have. 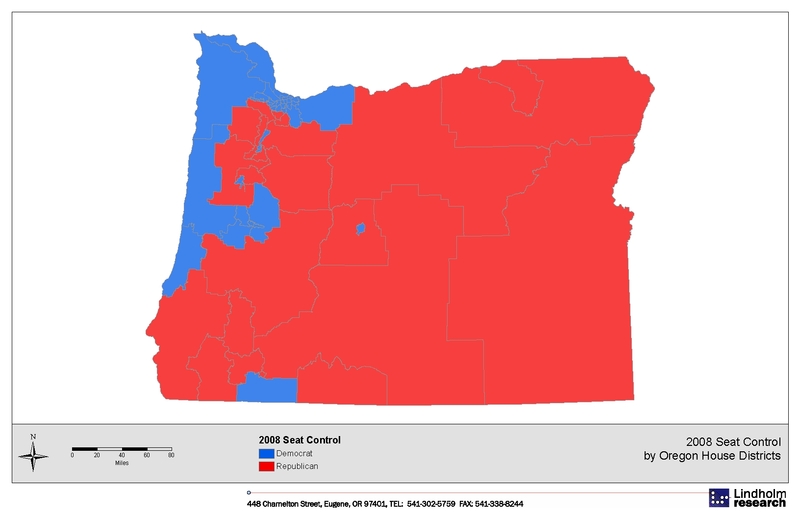 Oregon isn't a Republican state (except by area), with both houses of the legislature controlled by Democrats -- so this isn't much political hay that can be made. Personally I liked Kitzhaber a good deal, and voted for him twice. But I recognize he has to go. It makes me angry. Kitzhaber was a strong environmentalist, stopped the death penalty from being used during his term, and also a former emergency room doctor who strove to bring health care to the uninsured and to fully implement the Affordable Care Act here -- even after the state spent several hundred million doctors building a state exchange that was a catastrophe. (It's since been abandoned for the federal exchange.) Kitzhaber was also a strong backer of a new bridge over the Columbia River from Oregon to Washington state, that was also abandoned after a couple hundred million was spent on its design. But the clean energy effort here, and maybe elsewhere, will take a hit, especially for the usual suspects. Oregon is already a fairly clean state in how it generates its energy, thanks to a lot of hydropower from Columbia River dams. The state's last coal-fired power plant, in Boardman, is slated to be closed by the end of this decade. And a couple of Oregon counties are making out nicely from wind power agreements -- when you drive east out of the Columbia River Gorge, there are miles and miles of hundreds of huge wind turbines on both sides of the river that look pretty impressive (and not too much of a blight). And now I must leave to go set my cynicism level a few notches higher. Again. Update 12:10 pm: Here's a timelime of the scandal. Update 12:15 pm: Several media outlets are reporting Kitzhaber says he will resign.